A custom residential piece that plays on the balance of line weight, implication of volume and discontinuous surfaces. 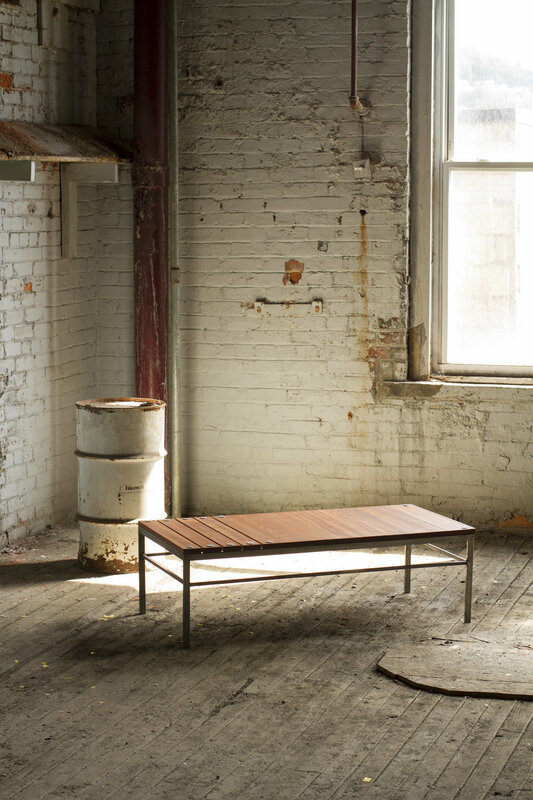 constructed from sapele hardwood, welded tubular steel and stainless steel hardware. The steel was polished and left uncoated to introduce the occurrence of rust. The frame was then clear coated to preserve this natural patina in time. An oil based finish was used on the sapele to bring out the richness of the grain.